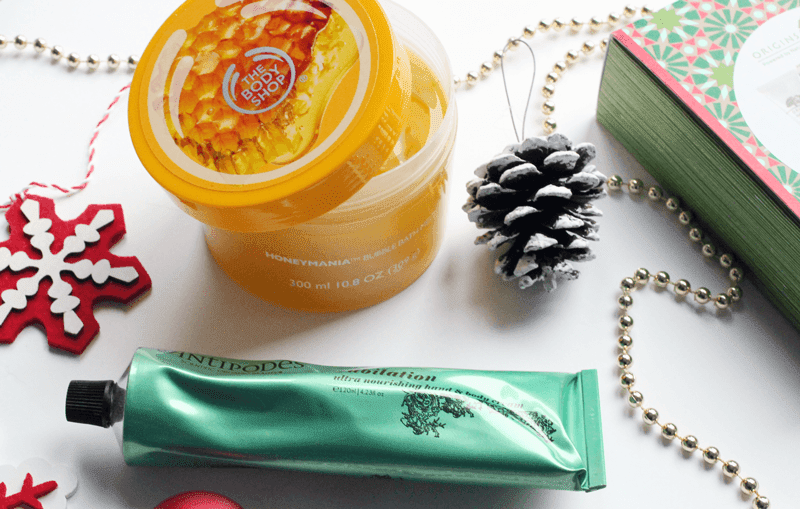 Today is the first edition of my Christmas Gift Guides and I’m starting it all with pampering treats! I think this time of year is the season of pampering, with nicely scented candles, long bubble baths and products that make you feel like yourself again after a cold day. 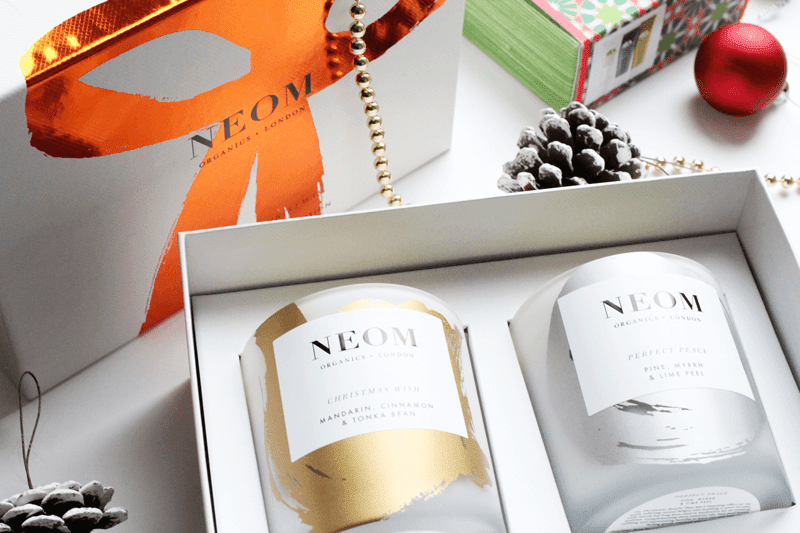 If I were to have a bit of a routine going, I’d run a hot bath and light one of these Neom Scents of Christmas Candles, which is a beautifully presented box of perfect scents. The ‘Christmas Wish’ scent (gold) is mandarin, cinnamon and tonka bean, which is the most beautiful combination, a bit like those spiced oranges. The other is ‘Perfect Peace’ (silver) pine, myrrh and lime peel, which is a really refreshing scent, like a crisp winter morning. After this, I’d pour a good amount of The Body Shop Honeymania Bubble Bath Melt into the bath for a gorgeous scent which leaves skin silky soft. TBS are always such a good option for Christmas (with up to 40% off right now) as they have so many gift choices and the packaging this year is awesome too. Next I’d get all squeaky clean with Neal’s Yard Revive Frankincense and Mandarin Organic Body Collection. It has perfect sized products to try out the brand, with a bottle of shower gel and body lotion, and the scent is really soothing yet uplifting. A perfect stocking filler! Finally, once I’ve dragged myself out of the bubbles, I’d smother myself in the Antipodes Jubilation Ultra Nourishing Hand and Body Cream. I adore the Antipodes range and their moisturisers are no exception, this body cream is the perfect pampering treat and makes skin ultra soothed and hydrated. Will you be picking any of these up? 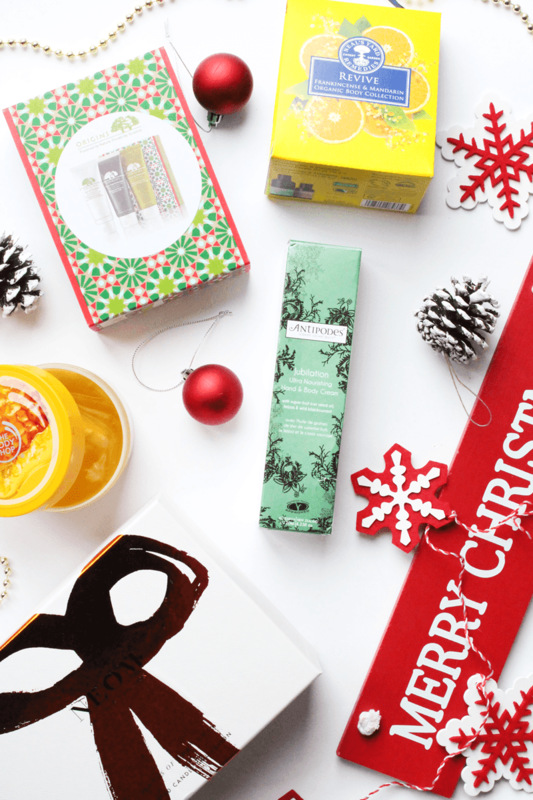 Oh and enter my £660+ huge Christmas beauty giveaway!